In the time we are living in, there is a hard rock castle we have build in, not allowing ourselves to cross. I remember the time when we as a child were so eager to go outside to play and spend some time with our friends. But now when I see our new generation I feel a little worried and disappointed. Worried about them and disappointed in ourselves. Maybe we have not been the perfect role models for outdoor activities. But here, this time, I am not going to blame this fast-paced life. We have to set our time in a way that would allow us to work and have a fun life too. 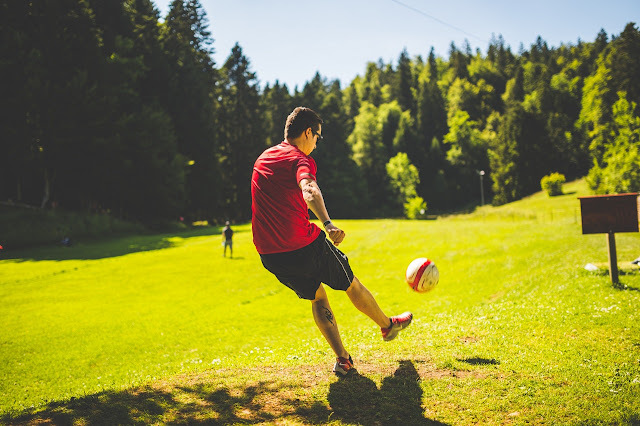 We cannot neglect the fact that outdoor activities allow us to be more productive in our day to day activities. And share the family bond we have now somehow lost. I am not saying to ban the online games or throughout the television sets or anything, but just take out some time for fresh air and if possible go out somewhere a little far. 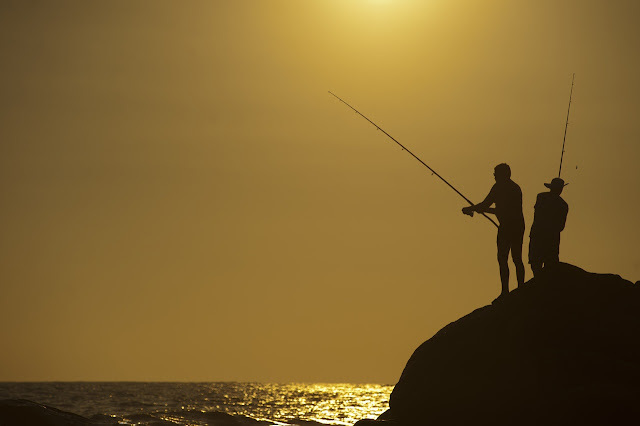 Here are few outdoor activities you should try often. These sports are so trending that we cannot take our eyes off once it’s from the Television. So why not take our kids or friends in a good, big ground for a match or two. Whenever I can, I tell people about my love for the sea. The serenity, the calm, the soothing nature of the sea has always held me tight to its shore and sometimes offshore too. 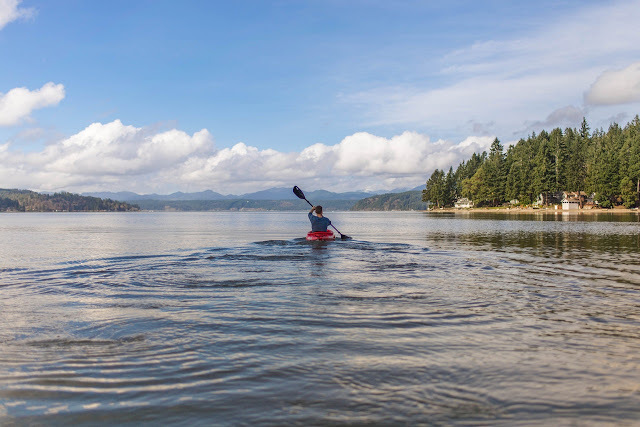 Kayaking is something I have been doing for a long time with my family. My wife and I annually plan a kayaking trip for our family. Do try it, the sea has a special way of making people come closer. 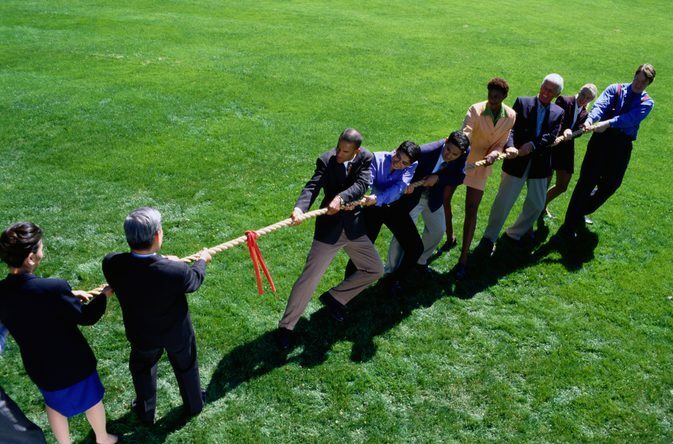 If there is a non-sporty person around you, or you are fed up with activities taking a lot out of you. 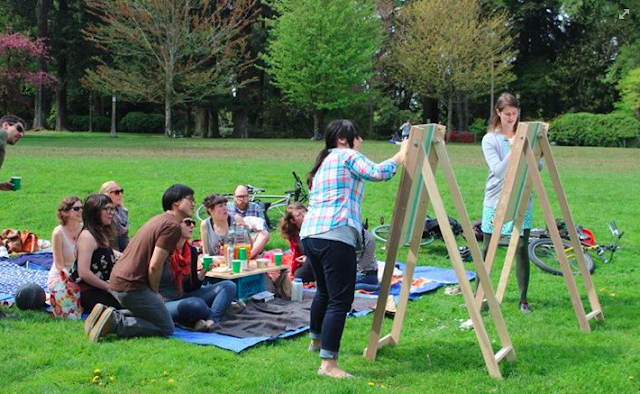 You can always find something low key and fun like Pictionary. Make two teams; arrange chalks, duster, board, and you are good to go. Take this game to a park if you can. What you have to do to play twister outside? Just take a round shape stencil and spray paint on the grass. With no changes in rules, you can have fun outside your castle. It is the oldest water sport that I can think of right now. It makes us patient, gain body strength, boosts the immune system, promotes relaxation, improves health, and supports traveling desire and what not. We are all familiar with this game in question. So just go ahead with your teams, use all your strength and be the warrior you always wanted to be. Spice things up with giving a reward to the winning team. 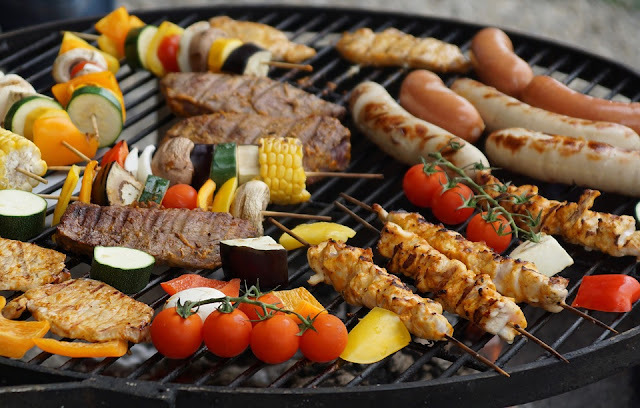 Every activity listed above can end up with a barbeque party. Because food is a must, no matter what! 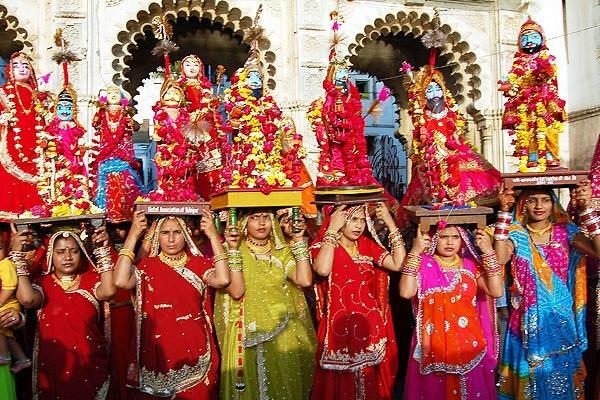 Best 3 Festivals of Rajasthan You simply cannot miss! 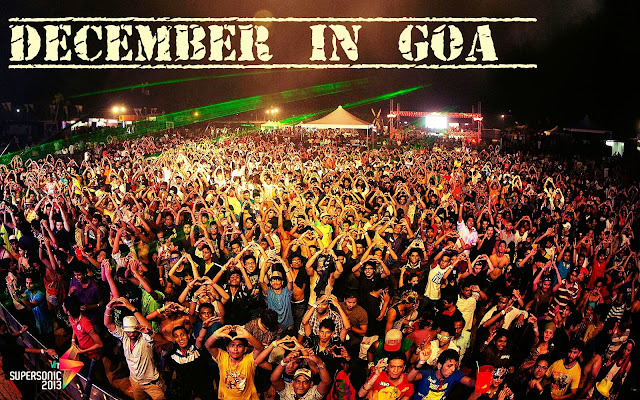 Festivals in India reflect the culture and traditions that have a great impact on the people. Every state has its own festival to celebrate, so has Rajasthan. Rajasthan celebrates all its festivals with uniqueness that enchants the visitors and tourists even more to come back to the place again later. Rajasthan is populated with very lively and entertaining people celebrated a number of fairs and festivals and bringing together people of different class and creed to a common platform. Taking up the Rajasthan Tour Package with Royal Adventure Tours will help you in understanding the true meaning of the festivals celebrated in Rajasthan. The festival of Mewar is celebrated every year by people of Rajasthan, Rajasthan, India, with great enthusiasm and joy in his welcome on spring. This three days; Runs from 2 April to 4 April and is full of fun activities. It is celebrated with the leadership of ancient culture and tradition of India in the city of Rajasthan, India's heritage, to protect all living heritage of Mewar in Rajasthan. This is the second living cultural festival of India, which is celebrated annually in Rajasthan. The Mewar festival celebrates all the living heritage of Mewar; The arts, traditional singing, dance, food, colors, cultural diversity etc. give an opportunity to display with Jaipur Tour Package. Ganagaur festival is celebrated very well in Rajasthan; this festival is celebrated on the Teevi of the Shukla party of Chaitra month. This festival starts from the second day of Holi, which is celebrated for 16 days. If the virgin girls wish for the wishes of the groom, then married women wish for longevity of their husbands. In different groups, singing folk songs in different groups, breaking the flowers and filling the water with wells is showing people's eyes, and then turning it somewhere. Folk music is dominating traditional folk dance. Ganagaur festival is celebrated in Rajasthan with great fanfare. Ganagaur festival is celebrated with enthusiasm, enthusiasm and enthusiasm. The Diwali festival is celebrated with great enthusiasm all over India. The Diwali festival is celebrated very well in Rajasthan. To see this Diwali Festival, very tourists come every year. Diwali means festival of light. This festival reflects the triumph of light on spiritual darkness. This festival, decorated with lines of lamps, is called Deepawali. This Mahaparv, celebrated on the new moon day of Kartik, makes the dark night illuminate with innumerable lamps. 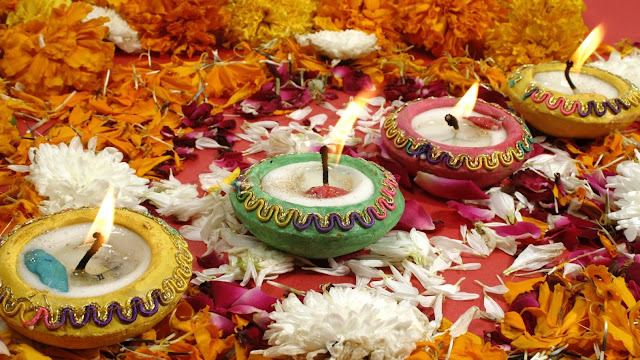 Diwali is a very big festival celebrated for five days, which is celebrated with great rituals. On the first day of Diwali festival, people celebrate Dhanteras, then on the second day of hell chat day, third and fourth day celebrate Deepawali and celebrate Bhai Duj festival on fifth day. These and the other festivals like the Holi festival, the Teej festival, etc add to the experiences of the visitors and travelers who are allured by the interesting ceremonies, rituals and folk performances during these festivals in Rajasthan. 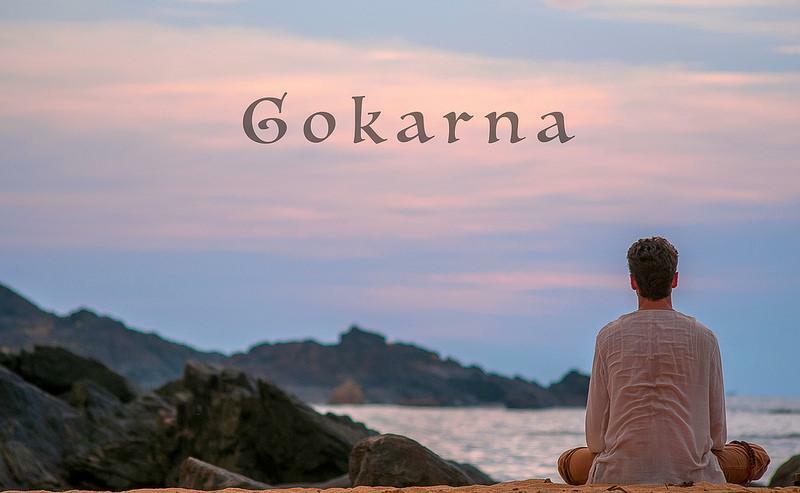 Are you Done With Goa & Gokarna? 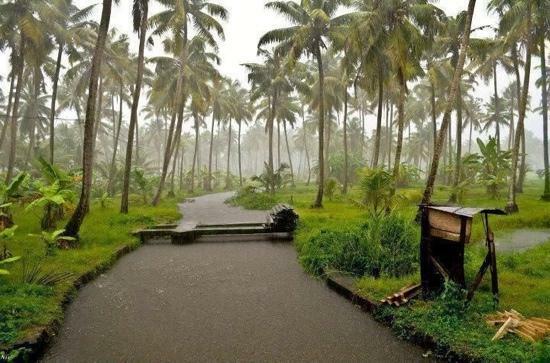 Kasaragod is one the lesser known places in Kerala. It has its own beauty enchanted by the views. 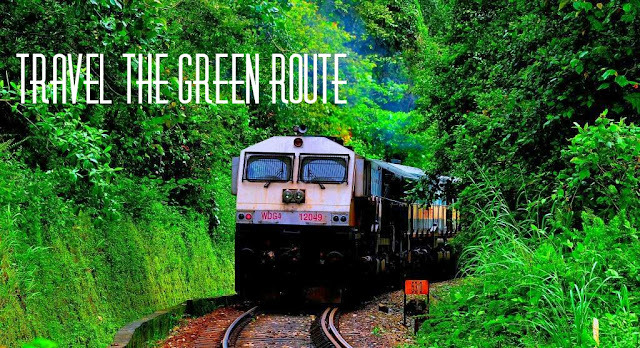 One cannot get bored when they're in kasaragod as there are lots of places to get lost. This place is just a night's sleep in a bus or train from Bangalore. 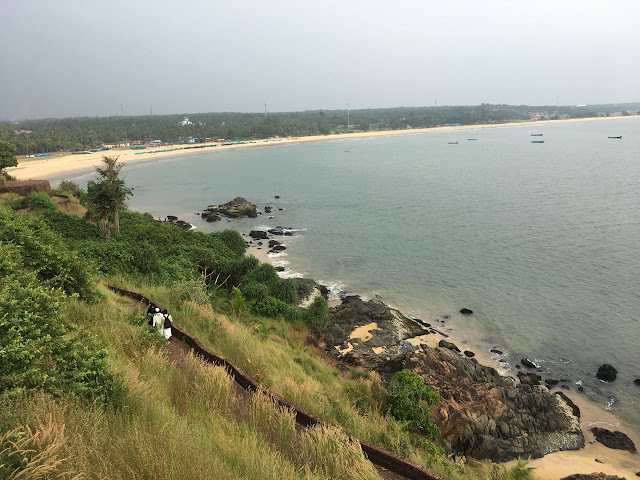 Away from the high-rises of Bangalore and the swanky night clubs of Goa is a coastal town where the pace is slow, landscape lush, and there is little intrusion by modernity. This is a destination where the air is clean, the earth smells fresh and life often throws surprises like a sleeping elephant or a passionate football match at the end of the lane. Kasaragod is a small town and the local sights are all within walking distance. However, auto-rickshaws are easily available for hire if you prefer taking them. Local taxis are also available at ₹8/km or ₹2,000 for a full day hire. Tickets in local buses start at ₹6. 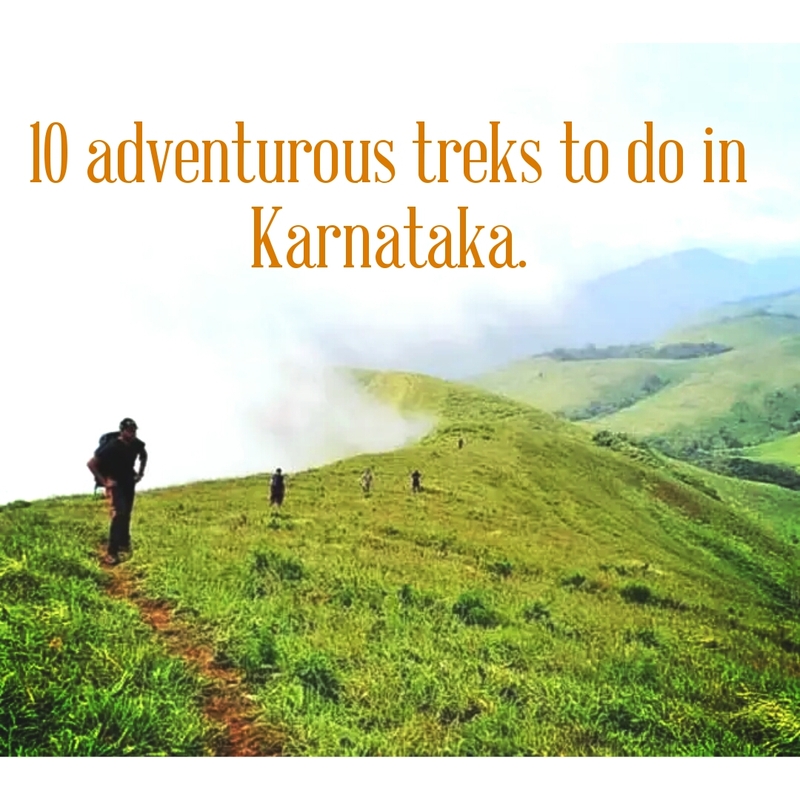 Kasaragod has its own list of things to do, when you're there. I have compiled a list of some best places to visit when you're in Kasaragod. 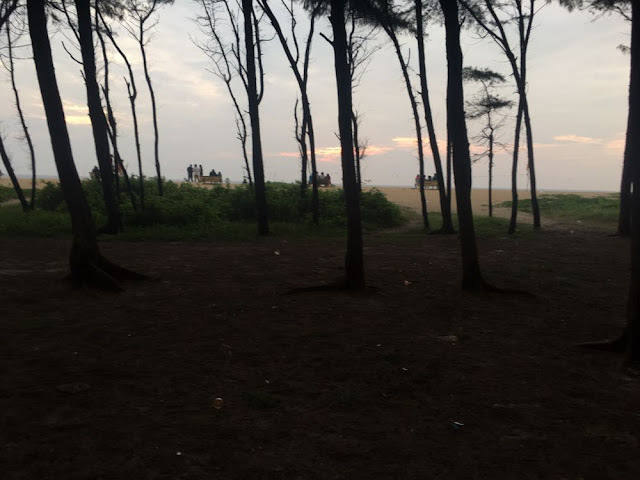 Kasaragod has magnificent and calm beaches where you can spend some peace time alone just sitting on the shore or if you have a group of friends, you can just enjoy by playing around. The beach isn't polluted as there will be only few visitors on weekdays. Generally weekends will be a little crowded. Kappil Beach is just 12 kms from the main town and revered place for the people who seek relaxation without the cries of hawkers and throngs of tourists. It is also one of the cleanest and most pollution-free beaches of Kerala. Bekal beach is adjacent to the Bekal Fort. It has got some really good views and shore of the beach extends nearly 10 kms long. There are a few colorful fishing boats on one end while the rest of the beach is free for swimming and lounging around. 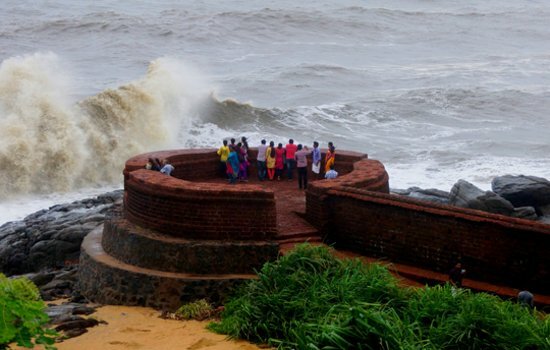 Bekal beach is just 12 kms away from Kasargod main city. Note: If you want to spend some peace time alone away from tourists, you can stay near the beach. There are 2-3 accommodations available for staying near bekal beach. You can enquire auto drivers for dropping you near the stay. ( 1 km from Bekal Fort): This enchanting beach offers a spectacular view of the fort and has ample facilities for recreation and relaxation. 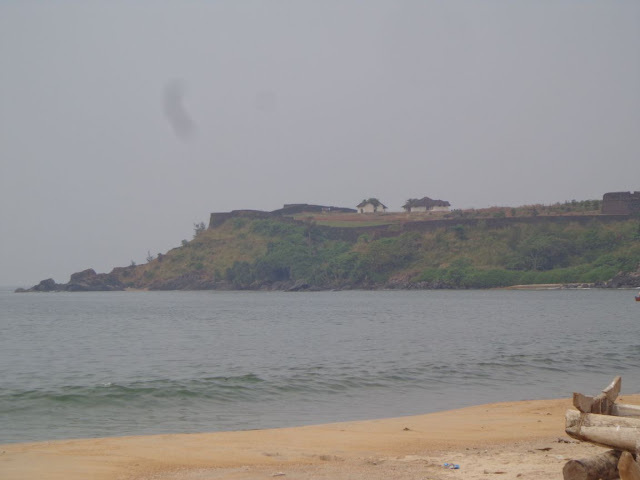 Bekal Fort is the most prominent location in Kasaragod for tourists. It has got really good views from the top. The entire Arabian Sea can be seen from the left side of the fort. Bekal beach is just adjacent to this fort. It takes more than 4-5 hours to cover the entire fort. 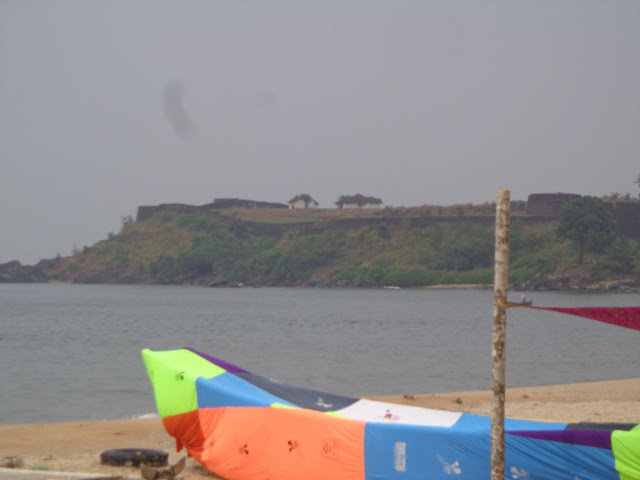 The fort is located just 1o kms away from the town and it is the largest fort in the state of Kerala. This fort has an history of more than 300 years and one can see some of the antique monuments inside the fort. This place is "must to visit" for photographers who likes capturing some stunning pictures. It will be crowded on weekends. 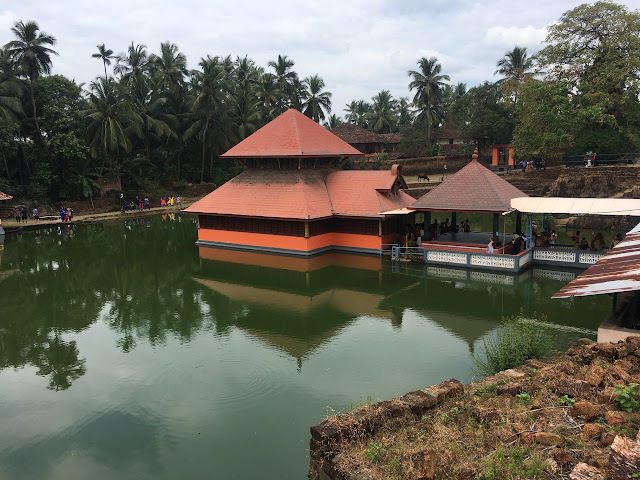 Ananthapura Lake Temple is said to be the original seat of Anantha Padmanaba Swami god and is the only lake temple in Kerala. 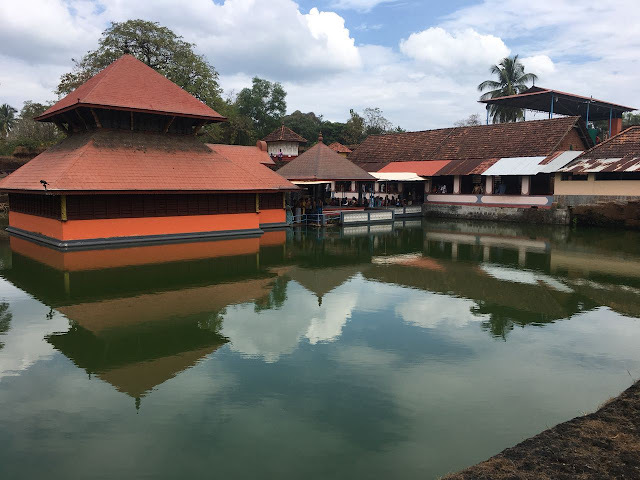 The most interesting part of the temple is there's a crocodile in the lake surrounding the temple which eats only rice and jaggery. 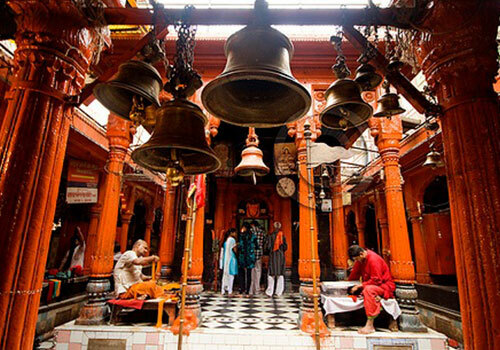 This temple has its own history and is considered to be the sacred place for the hindus. 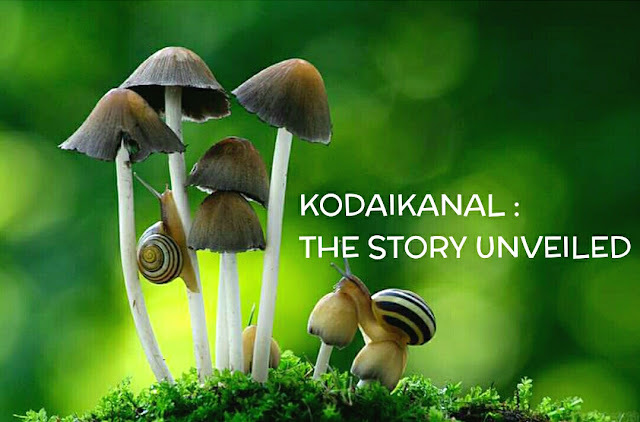 This is one of the must visit place when you are in kasaragod. 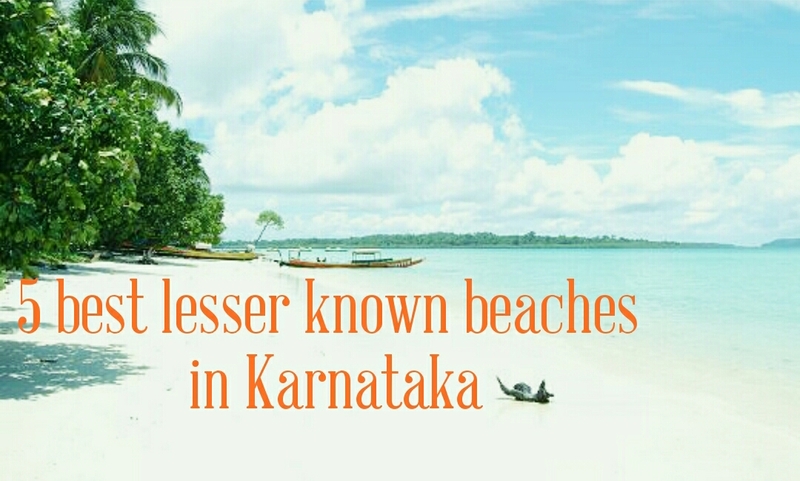 Kasaragod is located around 55km from Mangalore and it takes around an hour and 15 minutes to reach by road. By Air: Mangalore is the airport closest (60 km) to Kasaragod. There are daily flights from Bengaluru, Mumbai and Chennai. Round-trip airfare from Delhi to Mangalore starts at ₹6,800. From the Mangalore airport, you can take a taxi to Kasaragod. By Rail: Kasaragod station is a popular stop on many rail routes. 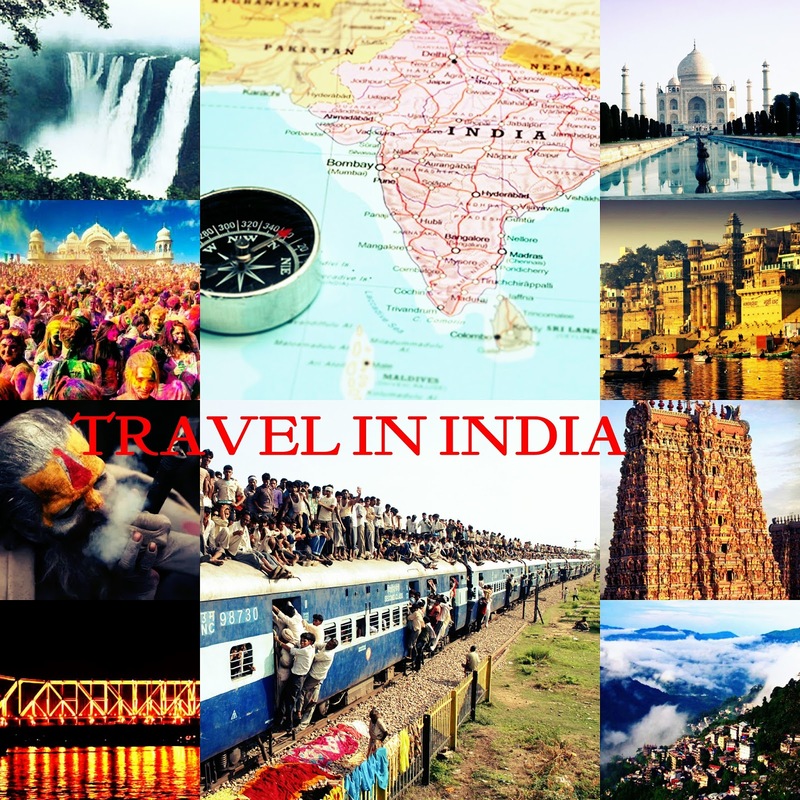 There are direct trains from Delhi, Mumbai and Chennai. By Bus: There are many buses run by KSRTC between Mangalore and Kasaragod. Private bus operators also commute on this route. By Road: The NH17 (Mumbai- Kochi) runs through Kasaragod. Roads are generally in pretty good condition, in and around town. Varanasi is the India of your imagination. One of the most colorful and fascinating places on earth,surprises abound around every corner. 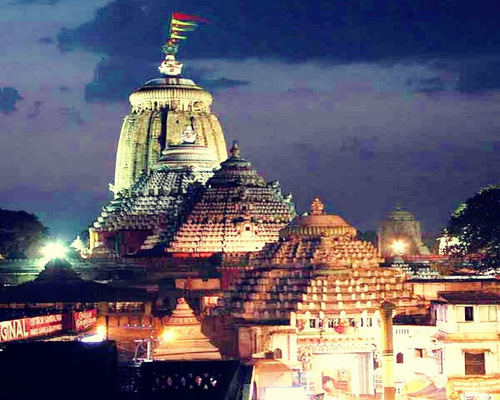 This is one of the world's oldest continually inhabited cities in Hinduism. Pilgrims come to the ghats lining the Ganges to wash away sins in the sacred waters or to cremate their loved ones. It's a particularly auspicious place to die, since expiring here offers moksha(liberation from the cycle of rebirth). There are almost 100 ghats (places with steps leading down to the water) bordering the Ganges River in Varanasi. The main group contains around 25 of them, and it extends from Assi Ghat north to Raj Ghat.A highly recommended, although touristy, thing to do is take a dawn boat ride along the river from Dasaswamedh Ghat to Harishchandra Ghat. A walk along the ghats is also fascinating experience (although do be prepared for filth and to be hassled by vendors). 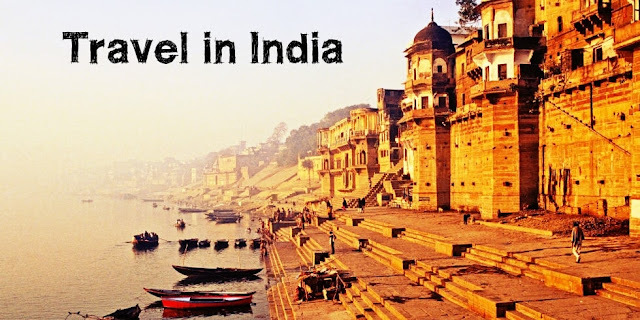 This Varanasi ghat guide will point you in the right direction of some of the must-see ones, from south to north.Assi ghat is the best one to visit. 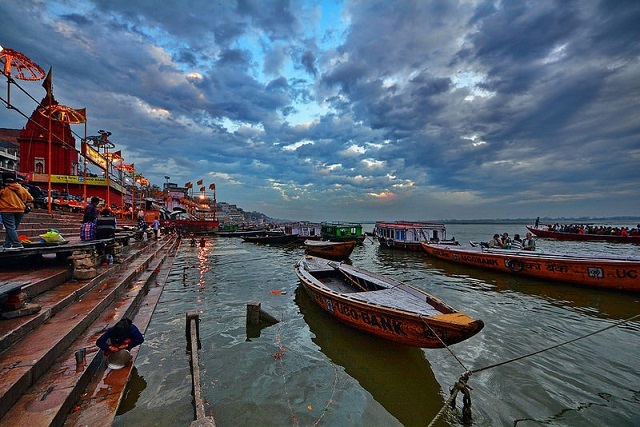 The holy Ganges River supplies Varanasi with a spiritual charm. The waters of Ganges River are blessed. The divine river offers salvation to everyone who bathes in the water. 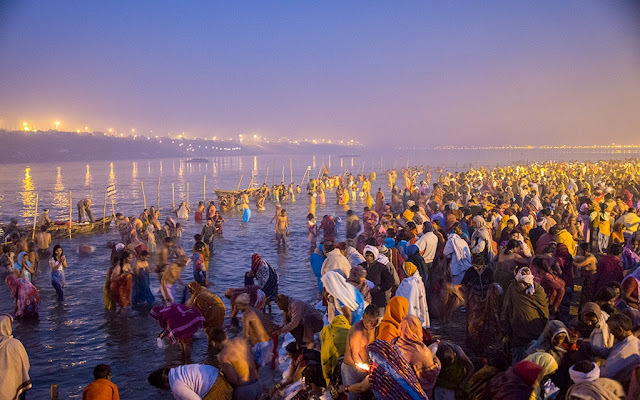 Pilgrims from all over in the world no matter their age take a dip in the water to absolve their sins and attain moksha, liberation form the cycle of birth and death. 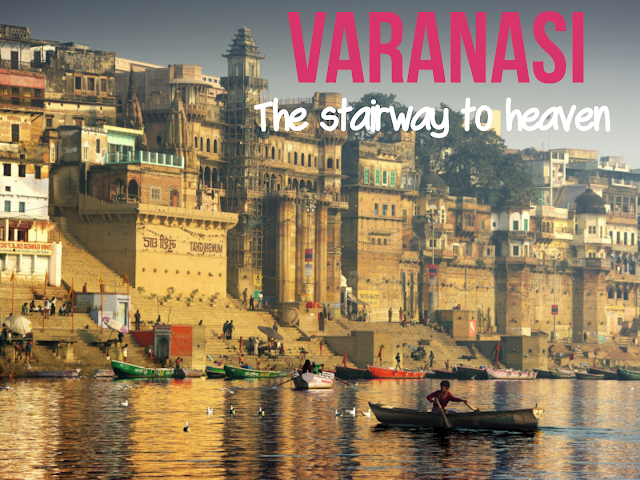 Varanasi has more than 84 Ghats with stairs leading to the waters. Bathing can be seen since the crack of dawn. People chant prayers to appease river Goddess. Kashi Vishvanath Temple is one of the most famous Hindu temples dedicated to Lord Shiva. It is located in Varanasi, Uttar Pradesh, India. The temple stands on the western bank of the holy river Ganga, and is one of the twelve Jyotirlingas, the holiest of Shiva temples. The main deity is known by the name Vishvanatha or Vishveshvara meaning Ruler of The Universe. 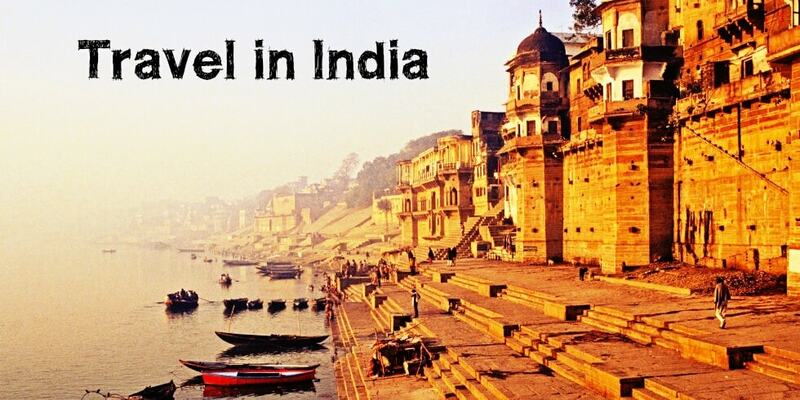 Varanasi city is also called Kashi, and hence the temple is popularly called Kashi Vishvanath Temple. 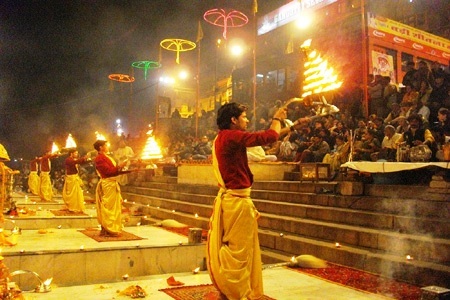 Every evening thousands of visitors assemble at Dashashwamedh Ghat, to view the spectacle of evening Aarti in Varanasi. Though this tradition itself may be thousands of years old, in the modern days the Aarti is a choreographed show with priests in traditional Indian clothes using huge deepams and mashals or Cressets, moving to the tune of melodious Aarti and Bhajans. The best time to take the boat ride is at dawn when the temples at the river front are bathed in a lovely hue of orange and the ghats are just beginning to bustle with various activities and rituals. However, that day the sun was in no mood to peek out from behind the dense cloud cover. The prevailing foggy and hazy conditions , nevertheless, were just adding to the entire mystical aura associated with Varanasi. 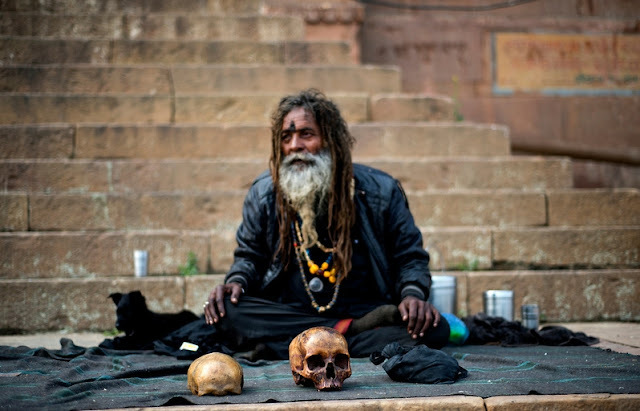 INVEST YOURSELF FOR ONE DAY TO HAVE A CONVERSATION WITH SAINTS/BABA'S/AGHORIS IN VARANASI TO KNOW WHAT IS LIFE!! Varanasi baba's can be found sitting on banks of river Ganga and it's worth it to invest sometime to talk along with them about the meaning of life, happiness,karma etc..
Food in Varanasi is a gastronomical experience. Relish the wide assortment of mouth-watering delicacies. 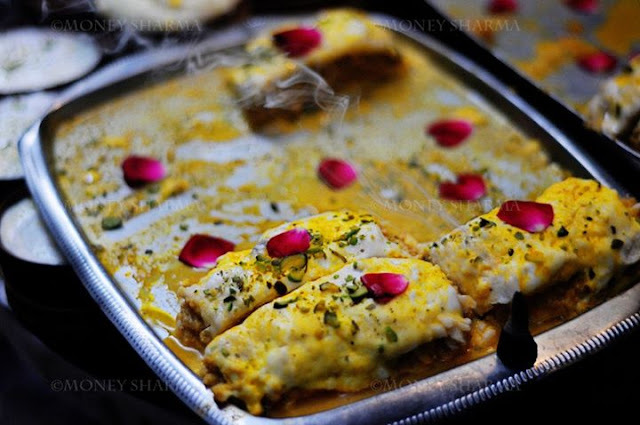 The streets of Varanasi present you with the most famous food and various specialities unique to this city. The famous snow cone, roasted peanuts, the delicious chat items like Tamatar Chat, Pani Puri, Kachoris, Aloo Tikki, variety of sweets like Jalebis, Banarasi Kalakand, Rabri, etc. Another famous treat of Banaras is their Paan. 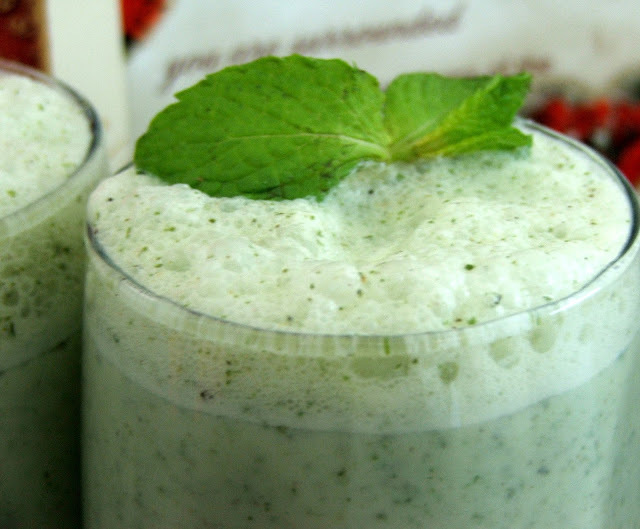 It is a speciality of Varanasi made of betel leaf and should be definitely on your list. 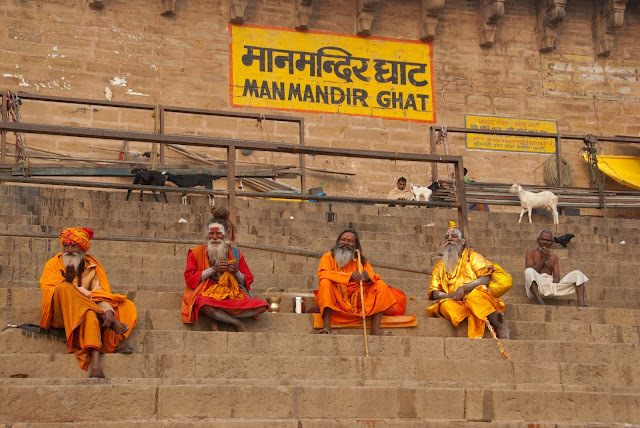 There are places where you need to look for a place to get high, and then there is Varanasi. You might be wondering a little as to where on earth there is such a place in the holy city? Well, I can list down for you a list of such places where the crass hullabaloo of the city subsides as soon as you take the pot in your hands and turn on some psychedelic music, even before puffing on a chillum. At sunset, the ghats assume a surreal look as hordes of nirvana-seekers can be seen witnessing the circular disc submerge itself beneath the tranquil waters, while passing each other the much celebrated hookah. Bhang, carefully moulded in the shape of crude spheres, is as representative of Varanasi as its temples and ghats. I would not be exaggerating if I were to say that if it is bhang that you crave for, it’ll find you out with a dogged persistence. Couple it with a glass full of thandai, and there you go, euphoria itself will come begging at your feet.